Decorate your home with this "One of a kind" Hand knotted woolen carpet. This carpet is specially designed for a modern home decor. It has taken 9-10 months to weave. It is a large hand knotted wool area rug which is totally handcrafted by our skilled weavers in India. 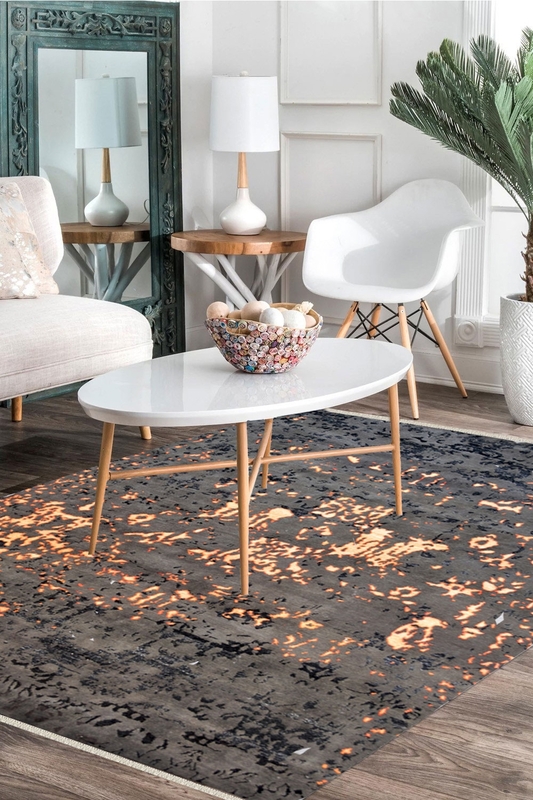 Designed with the dark palette of modern art design, this hand-knotted woolen carpet creates a relaxing atmosphere for any room. While the eye-catching pattern on the carpet highlights its visual charm, the same is made of 100% New Zealand wool and finest quality cotton assures its durability and easy maintenance. This beautiful handmade carpet is woven on a hand loom. The design has been inspired by a volcano lava. It is the most beautiful carpet of the modern category which is "One of a kind" and only available on Rugs and Beyond.